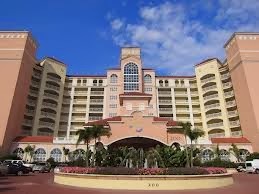 Dayton Beach is a perfect honeymoon destination for those couples who love thrill and excitement. Located in the Volusia Country in the Central Florida, this place also includes the great Daytona shores, Port Orange, Holly hill, Ormond Beach and the Ponce Inlet. This place also offers a large variety of adventurous activities to the guests. Some of these activities include golf, hiking, cruise to a nearby island, boating, kayaking and paragliding. All this could be a lot of fun for the newlyweds. Located Adjacent to Daytona Speedway is the Daytona Beach International Airport which receives scheduled flights from Delta airlines and US airways. This is the main airport which serves this beach city. Orlando-Sanford International Airport located in Sanford also serves this place and provides an easy access to this place. • The couples can have the pleasure of a tiny cruise on the Halifax River. It would be the most romantic trip standing beside your partner on the deck and sightseeing the enormous beauty of this place. 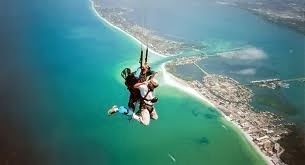 • You can also have the thrill of skydiving or free falling from a certain height. There are several trained people under whose guidance you can have a free falling parachute adventure. 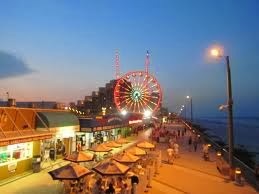 • The beaches offer activities like swimming, parasailing and thrill rides. The couples can go for a riverboat excursion and explore the amazing wildlife and spectacular estates situated along the Atlantic Ocean. 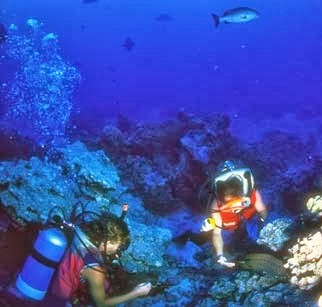 • Deep sea diving is another adventurous activity. The couples go exploring the underwater kingdom holding their hands. Some of the romantic stays of this place are discussed below. This hotel is located at the Dayton Beach and provides the guests with direct access to the shore and the stunning views of the Atlantic Ocean. The hotel offers large rooms with cozy beds, fire place and best dining facilities. The rooms are well furnished with beautiful bathrooms having large bath tubs. The couples can also opt for a dinner in the open area of the beach side. This resort is also located on the coast line and offers amazing views to the guests from lovely sunsets to the high tides of the Atlantic Ocean. The resort offers special spa facilities to the couples. They also arrange for the beach side massages including the open restaurants where you can dine with your spouse enjoying the sunset. You can also go for a walk at the beach. The amazing location of the hotels and the thrilling activities makes your honeymoon a lifelong memory. So, do plan your romantic trip to this place and have loads of entertainment.